As I was reading Kim Stanley Robinson’s Aurora, I kept thinking of that old quote from Konstantin Tsiolkovsky, “Earth is the cradle of humanity, but one cannot live in a cradle forever.” By the time I finished reading the book, I was no longer convinced that Tsiolkovsky knew what he was talking about. Like many readers, my idea of science fiction was shaped by those Golden Age stalwarts – first Clarke, then Asimov and Heinlein. It was their combination of hard science and a sense of wonder, the drive to push outwards to the stars countered by the knowledge that humankind may not be able to survive out there. Above all, their works were contemplations about our place in the universe, and what it meant to live on a small pebble in a vast stream of stars. Over a decade of wider reading (both within and outside the genre) has broadened my conceptual and historical understanding of science fiction, but this type of story still occupies the heartland of my passion. It’s not often I read a new novel that speaks to this passion, one that wraps science in the sublime, yet still manages to do something original with shop-worn tropes. And it’s even rarer to find this in the latest release from an author I’ve been following for some time. 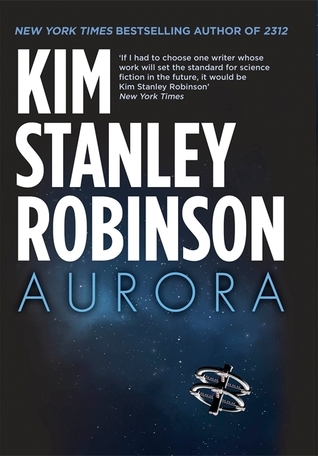 But, without doubt, Aurora may be one of the best science fiction novels I’ve read in the last few years. Robinson is perhaps best known for his landmark account of terraforming, the Mars trilogy, but he has demonstrated impressive versatility as an author, playing with alternate histories in The Years of Rice and Salt (2002) and Galileo’s Dream (2009), the politics of environmentalism in the Science in the Capital series, and neolithic human tribes in the Ice Age in Shaman (2013). An awareness of climate change underpins much of his fiction, and he has been named a “Hero of the Environment” by Time magazine in 2008. I was fortunate enough to be able to meet Kim Stanley Robinson in 2010, when he was in Melbourne for a couple of conferences, and it was great to be able to discuss my ideas regarding climate change in science fiction with someone who is a leading voice in the field. Given his reputation for being on the frontier of the genre, it was a surprise to hear that Aurora was returning to one of the most shop-worn concepts in science fiction – the generation starship. The starship in Aurora left Earth 160 years earlier; it is now decelerating for its arrival in the Tau Ceti system. Its occupants are descended from the original crew; their entire lives have been spent in the 24 biomes inside the two giant wheels – spun to imitate gravity – that comprise the ship. They are looking forward to colonising the lifeless planets ahead of them. It is a simple premise, yet Robinson breaks from convention with the idea that the starship is beginning to fall apart. After such a long journey, components are prone to degradation and many of the ship’s systems are in various states of decay. The crew is confronted with a vast range of problems, from a decline of phosphorous in their soil to faulty valves in the ship’s cooling system. Deceleration is playing havoc with the ship’s Coriolis effect, one of the numerous design flaws that are becoming increasingly problematic after decades of flight. Concepts such as island biogeography and zoo devolution mean that the ecosystems inside the biomes are no longer functioning within acceptable limits. Even the crew is suffering. Each subsequent generation is proving less intelligent than the one before; birth defects and developmental disorders are rising. Aurora is a tale of entropy. Not just mechanical, but biological. A more detailed description of the plot would necessitate spoilers, so I won’t go any further. Robinson has tapped into the core problem with most generation starship stories: nothing is designed to last forever. And journeys that take hundreds of years, especially inside the closed system of a starship, means that entropy will inevitably strike. The novel feels like a tragedy that is slowly unfolding, a doomed outcome of a foolhardy experiment. Science fiction texts often enthusiastically espouse the colonisation of other planets without serious thought of the practicalities. The Tsiolkovsky quote has inspired a lot of stories, some of which have had enormous popular success. The tagline of last year’s Interstellar summarised the sentiment: “Mankind was born on Earth. It was never meant to die here.” Aurora challenges that narrative. Robinson knows that millions of years of evolution means that we are uniquely suited to life on Earth – we might not be able to survive anywhere else. The whole project of colonisation may be worthless. This certainly does not mean that Aurora is a pessimistic tale. It is a celebration of the human spirit, of our will and need to survive. The depiction of life inside the starship is the strength of the story. Robinson has always had an eye for colour (it was amazing to see what he could do with a simple white and blue colour palette in Antarctica (1997)), and it’s used to full effect here. The biomes of the ship are described in vivid, intricate detail. Part of the novel follows the heroine, Freya, as she travels through the ship for her rite of passage, her wanderjahr. The communities that she encounters are complex and fragile, little pockets of human happiness and pettiness travelling in the void between stars. Perhaps the most memorable is the yurt people of the Labrador biome, whose children are raised in blissful ignorance of the nature of their world, until they are blindfolded and taken outside the ship in an initiation ceremony. Robinson knows how to invoke that sense of wonder. But the society is by no means utopian – many inhabitants are disenchanted with the governing councils who enforce strict childbearing regulations. These frustrations take the spotlight later in the novel. The starship itself is the narrator for most of the story, a bold choice for Robinson, given the embarrassing history of dry robotic narrators in science fiction. But he makes it work. We see personality forming within the ship’s voice as its AI algorithms evolve. We see it struggling with complex decisions, overcoming the closed loops of its own programming. The emerging consciousness becomes more human, yet something greater than human at the same time. This is a testament to Robinson’s skill as a writer; he has one of the most accessible narrative styles in the genre. 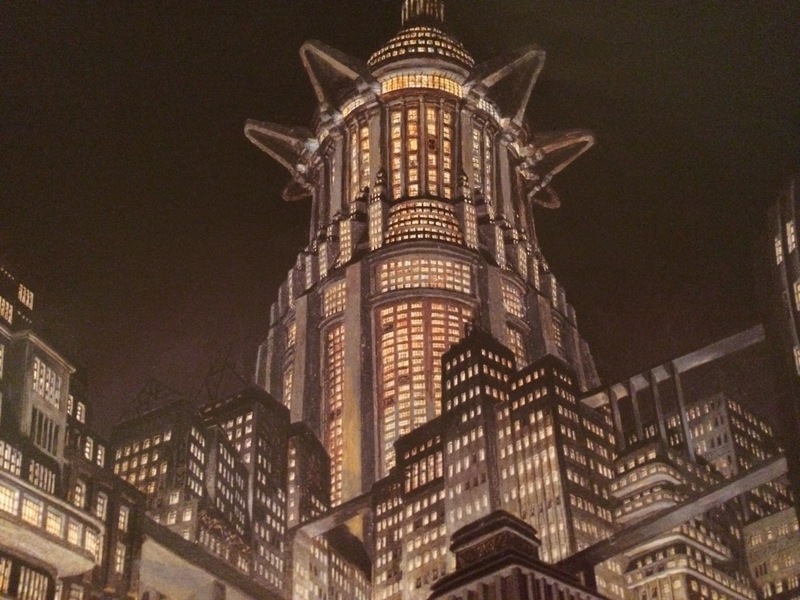 The novel invites comparison to numerous other works of science fiction, particularly those by the Big Three of the Golden Age. It’s not just the hard science and the sense of wonder; the whole concept feels like something Clarke could have dreamed up. In some parts of the narrative, the comparison becomes a little more specific. The image of the starship cruising through space is described at one point as “The city and the stars,” a poignant link to Clarke’s novel by that title (1956), which depicts an insular, isolated society that ventures outwards for the first time. An apt analogy. Aurora is more overtly similar to Clarke’s Rama (1973) in its description of a world within a starship, but the mysterious cylinder of Rama functioned as a Big Dumb Object – a plot device in space – rather than the intelligent and self-aware starship of Aurora. There are some references to Asimov’s novel The Naked Sun (1957), and parts of the novel bear a distinct similarity to texts such as Heinlein’s Farmer in the Sky (1951). The reception of Aurora has already been overwhelmingly positive. Critic Adam Roberts has given it an exemplary review, calling it “the best generation starship novel I have ever read.” High praise, and something with which I’d easily agree. It encapsulates everything I want from a science fiction novel. It is a fresh perspective on an old idea. It is aware of the vast and hackneyed back catalogue of stories written about generation starships – it offers a critique of these visions at the same time as it celebrates their spirit. It also contains an important message about the environment, and the importance of accepting responsibility rather than looking to the stars for answers.